DWL are the ideal partner for new build projects. Our extensive work with architects, developers and self-build homeowners makes us the perfect choice for any new build project. 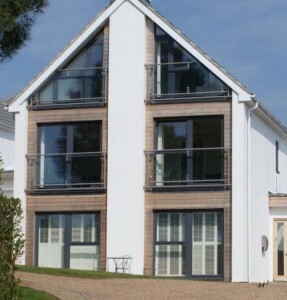 It is not just our product range that is superb, but our ethos too – we provide an unrivalled design, supply and installation service for new builds. With DWL, you can have the peace of mind that your new build project will be completed to the highest standard and to fit any specific requirements, energy efficiency standards and any Building Regulations. 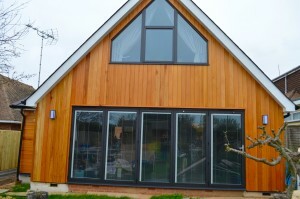 DWL have the ideal product range to fit into contemporary and traditional homes. 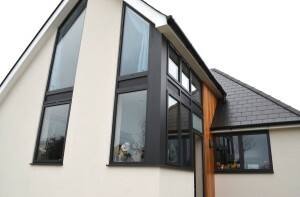 A one stop shop, we supply and install a selection of high quality windows, doors and living spaces, available in aluminium, timber effect, composite and uPVC materials. Our windows, doors and living spaces are some of the latest available on the market, and therefore meet and even exceed Building Regulations. All of our products comply with Part E (Sound), Part L (Energy efficiency), Part M (Access), Part N (Glazing) as well as the new Part Q (Security). All of these aspects of Building Regulations are regularly updated and we keep on top of all of the changes to ensure we can advise our customers correctly. In essence, we will check the designs to ensure that the proposed build is fully compliant. Whether you are a developer or a self-builder, new build developments can be greatly enhanced with our range of luxury choices. This includes skylights, aluminium slimline sliding doors and Loggia conservatories, all of which give living spaces that “wow-factor”, separating them from the rest. From a bespoke orangery to a more standard casement aluminium window, all of our products offer internal and external benefits that will act at unique selling points for potential buyers. This includes style, ease of maintenance and durability. Whether you are looking for a supply only or installation service for your new build project, DWL are the Kent-based experts that you can count on. We cover all of the South East. We prioritise customer satisfaction in everything we do and will go above and beyond to meet your requirements. With our efficient office team, we work quickly and efficiently, and this, combined with our high quality product line, ensures that new builds can be finished on time, and to the highest standard possible.